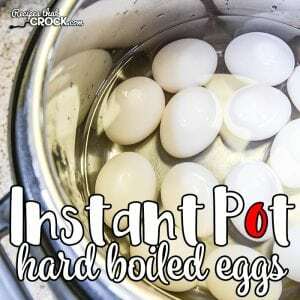 Instant Pot Hard Boiled Eggs - Recipes That Crock! Are you looking for a quick, fail-proof hard boiled egg for breakfast, snacks or Easter eggs? Our Instant Pot Hard Boiled Eggs are a fool proof way to cook up perfectly creamy, easy peel hard boiled eggs every time in an electric pressure cooker. Note: Since this taping we have tried it without the rack and it worked just fine. We LOVE us some hard boiled eggs around here. And when I am making them in bulk for egg salad, potato salad, etc. I whip up our No-Peel Crock Pot Hard Boiled Eggs. 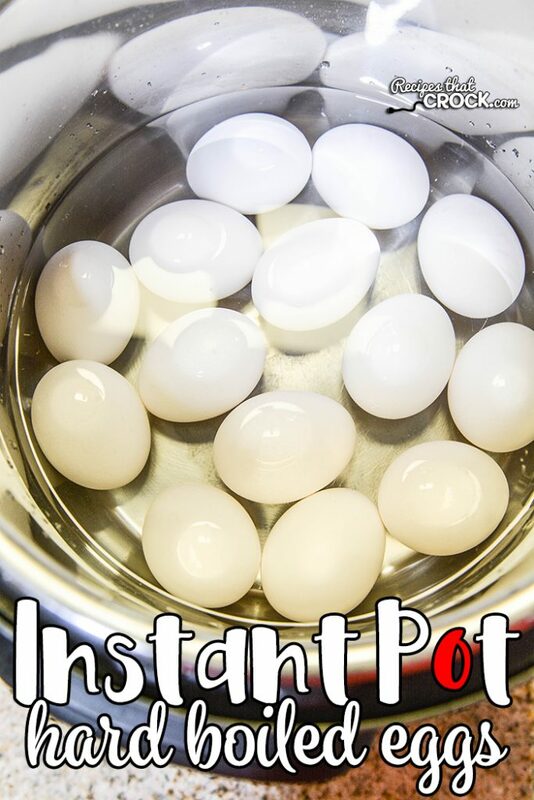 That method works perfectly when I just need chopped up eggs, but when I need whole eggs for school lunches, snacks or Easter, I use my Instant Pot to make a quick, fail-proof hard boiled egg. AND, they are the easiest peel eggs I have ever found! Looking for more Instant Pot Recipes? Check out all of our electric pressure cooker recipes here. Are you wondering what an Instant Pot is? In this weekly chat we discuss the difference between a slow cooker, multi-cooker and an Instant Pot. Pour water into your 6-quart electric pressure cooker. Put lid on and turn valve to seal. Set to high pressure for 5 minutes, leaving the warming feature on. Your pressure cooker will take about 5 minutes to reach pressure, then cook for 5 minutes, after cooking, leave on warm setting for 5 more minutes. Quick release and carefully remove pot from the unit. Immediately add cold water to pot to stop eggs from cooking. Keep in fridge until ready to peel and eat. It takes my pressure cooker about 5 minutes to reach pressure, but time to reach pressure may vary. Since I usually cook just for myself I just bought a 3 Quart instant pot mini. I’m guessing you could do the eggs in a smaller pot too. Is there any reason why they have to only be in one layer and not stacked? I haven’t tried it, but I would love to hear how it goes.